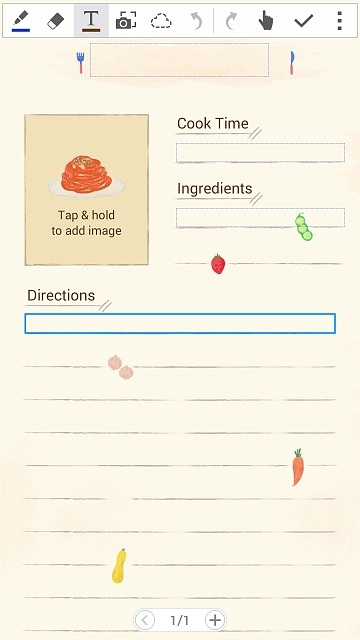 Why do I keep getting a recipe template when I try to write or record a note? Can't figure out how to get rid of that template. Please give us more information. When does it show up? What does it look like? Did you install any templates recently? Here are a couple of screen grabs to show what I experience. When I tap on the "T" the recipe template comes up. I just want a plain background. You need to change it back to blank in the settings. It's under add template. Thanks...that was easy enough! Appreciate the help! 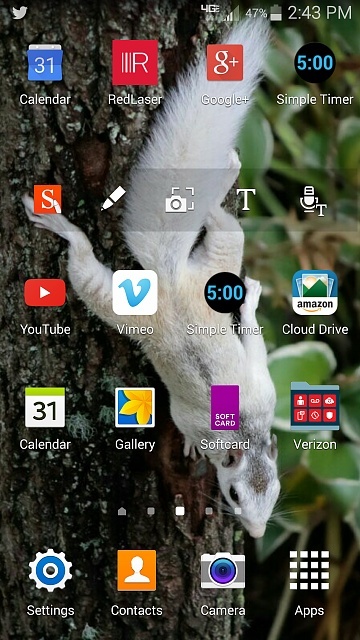 Instead of tapping the T, tap the red S-Note icon. While in the notebook browser screen hit the three dot menu on the upper right side, select settings and then the change default template option. Trade Note 4 for HTC one M8 good idea? How can I connect my android phone to that stupid play store shopping bag? New moto g or new Nexus 4?